From the instant you walk in our door, you’ll notice that we do business differently. Clean, open, modern facilities and the latest technologies merge with people demonstrating the core business values that have guided us since day one. We believe in quality, honesty, respect, and delivering superior collision repair. We also believe in the importance of our heritage and our commitment to community service. We practice principles of positive motivation and team building in all that we do, and we strive to continually improve the quality of our work. We serve as Direct Repair partners with AAA, Nationwide, USAA, Erie, Met-Life, Ohio Mutual and Enterprise Rental car. This relationship ensures a fast, efficient, and streamlined repair process. We also regularly service and are referred by all major insurance companies including State Auto, All-State, Progressive, GMAC, Geico, Safe Auto, Western Reserve, Westfield, Indiana, Grange, and Motorist among. We offer a lifetime limited warranty for as long as you own your car. Just ask us about it. 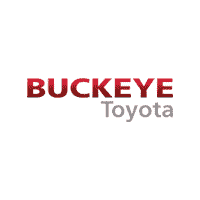 Why Choose the Buckeye Automotive Family Collision Center located in Hilliard? Every area body shop is comprised of estimators, frame technicians, body men, painters, and production managers. We choose to operate a little differently. We recruit and develop individuals committed to becoming collision repair advisors, craftsmen, artists, and team leaders. Each of them cares about the quality of their work and ultimately, your satisfaction. Our technicians are I-CAR and ASE certified, averaging 15 years experience in collision repair. Our Collision Center features PPG Automotive Refinishing products, DeVilbiss and Zhonga downdraft paint spray booths, and Chief frame racks utilizing Velocity laser-guided measuring systems. This industry-leading equipment and technology allows us to achieve the highest quality craftsmanship when repairing your vehicle.